ISTANBUL (Reuters) – Turkish prosecutors have prepared an extradition request for 18 suspects from Saudi Arabia in the killing of journalist Jamal Khashoggi, authorities said , after President Tayyip Erdogan urged Riyadh to disclose who ordered the murder. Erdogan has in recent days stepped up pressure on Saudi Arabia to come clean in the case, and Western governments have also voiced increasing scepticism, pitching the world’s top oil exporter and a pivotal Middle East ally into a worsening crisis. Erdogan said Turkey had more information than it had shared so far about the killing of Khashoggi, a Saudi national and Washington Post columnist who was killed at the Saudi consulate in Istanbul on Oct.2. Khashoggi, who lived in the United States, was a critic of Crown Prince Mohammed bin Salman, the kingdom’s de facto ruler. Saudi Arabia’s public prosecutor on Thursday said the killing of Khashoggi was premeditated, contradicting a previous official statement that it happened accidentally during a tussle in the consulate. Riyadh’s numerous shifting accounts of the killing have undermined Prince Mohammed’s stance in the West. Turkish prosecutors seeking the extradition accuse the 18 of “murder by premeditation, monstrous intent or by torture”. Riyadh previously arrested the 18 as part of its investigation into the case. Those include a 15-man security team that Turkey says flew in hours before the killing and carried it out. “Who gave this order?” Erdogan said in a speech to members of his AK Party in Ankara. “Who gave the order for 15 people to come to Turkey?” he said. Saudi officials initially denied having anything to do with Khashoggi’s disappearance after he entered the consulate, which he had visited to obtain paperwork for a planned marriage. “The reasoning behind the extradition request is that Jamal Khashoggi was murdered in Turkey by Saudi nationals who travelled to Turkey for this specific purpose,” a senior Turkish official said. Saudi Arabia has also sacked five senior government officials as part of the investigation. Khashoggi’s Turkish fiancee, Hatice Cengiz, said she did not accept an invitation from US President Donald Trump, the kingdom’s staunchest Western champion, to visit the White House after Khashoggi’s murder because she thought it was aimed at influencing public opinion in his own favour. In her first television interview since the killing, Cengiz recounted the events leading up to their visit to the consulate on Oct. 2 where Khashoggi handed her his two mobile phones and went inside while she waited outside for him to emerge. “Trump invited me to the United States but I perceived it as a statement to win public favour,” Cengiz told broadcaster Haberturk, pausing at times during an interview and more than once breaking down in tears. Trump and Prince Mohammed have cultivated warm ties though the US president said earlier this week that the crown prince, as the kingdom’s de facto ruler, bore ultimate responsibility for the operation against Khashoggi. Trump also said Riyadh had staged the “worst cover-up ever” over the killing. Cengiz said Khashoggi was concerned tensions would arise when he visited the consulate for the first time on Sept. 28, but he was treated well at that visit, which appeared to reassure him, she said. “He thought Turkey is a safe country and if he would be held or interrogated, this issue would be swiftly solved,” she said. How Western allies deal with Riyadh will hinge on the extent to which they believe responsibility for Khashoggi’s death lies directly with Prince Mohammed and the Saudi authorities. Prince Mohammed, who casts himself as a reformer, has said the killers will be brought to justice. 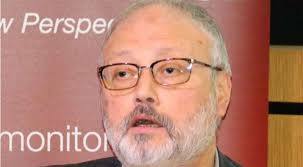 Turkish officials suspect Saudi agents killed Khashoggi, 59, inside the consulate and dismembered him. Turkish sources say authorities have an audio recording documenting the murder. US CIA Director Gina Haspel heard the audio during a visit to Turkey this week, sources told Reuters, and has briefed Trump about Turkey’s findings and her discussions. Saudi state television quoted the Saudi public prosecutor on Thursday as saying Riyadh was interrogating suspects on the basis of information given by a joint Saudi-Turkish task force. Many Saudis have been shocked by Riyadh’s admission after two weeks of denials and condemnation of foreign news reports. Earlier, authorities tried to stem the domestic fallout, instructing mosque preachers to focus sermons on “the fierce and unjust onslaught targeting the country”, according to a directive seen by Reuters that did not specifically mention the Khashoggi murder. One Riyadh cleric warned worshippers against repeating reports from TV or social media “without contemplating the danger of this news”, adding that “most of them are lies”.